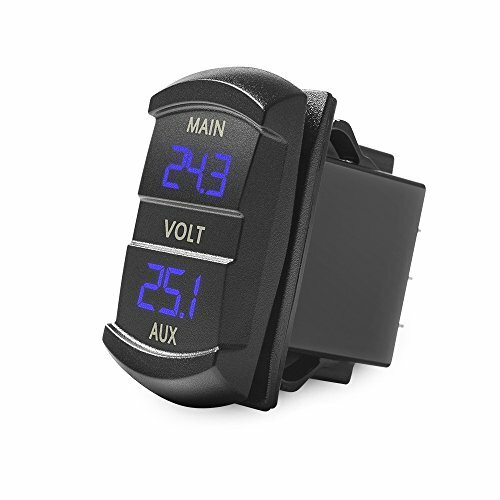 LED Digital Dual Voltmeter - Clearly show you precise volts! 2 electrical appliances, which clearly shows you the voltage readings and helps you to better monitor your car battery condition. Say Goodbye to Exhausted Battery Before Each Drive! connecting pins, it is super sturdy and lasts for a long long time. flush mounted into dashboard switch location, great for most RVs, Campers, Pickups, Vans, Trucks, Trailers, Marine Boats, etc. Get One for Your Vehicle, Well Know of Car!